Mon. March 18, 2019 11 a.m. 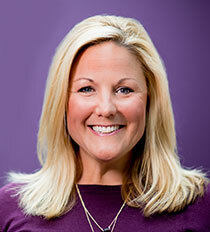 The UW provides boundless opportunities for learning and growth. However, many students need additional support to successfully launch their Husky Experience. UW Provost Mark Richards and UW Director of Athletics Jennifer Cohen headline this inspirational celebration of leadership and how investing in students can make life-changing differences. Part of Dawg Days in the Desert. Champagne Reception and Silent Auction: 11 a.m. Luncheon and Program: 12 p.m. Unable to attend but still want to support student scholarships? Make a gift here. 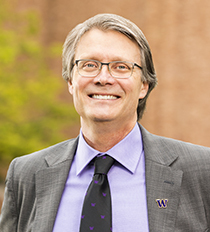 Mark Richards joined the University of Washington as provost and executive vice president for academic affairs on July 1, 2018. A geophysicist, Richards also holds a faculty appointment in the College of the Environment’s Department of Earth and Space Sciences. As provost, he is the University’s chief academic and budget officer. Richards came to the UW from the University of California, Berkeley, where he was professor of Earth and Planetary Science. While at Berkeley, he served as dean of mathematical and physical sciences, and simultaneously as executive dean of the College of Letters and Science. For his work on racial, ethnic, and gender diversity in the STEM fields, Richards received Berkeley’s two highest awards for promoting equity and inclusion. Additionally, Cohen secured a 10-year, $119 million apparel partnership with adidas that is set to get underway July 1, 2019. Highlighting the excitement on the field in Cohen’s first two years was a Pac-12 championship and trip to the College Football Playoff in 2016 for Husky football. UW hit the 10-win mark again in 2017, making its third trip to a New Year’s Six Bowl in as many seasons, most recently capping the 2018 season with a trip to Pasadena for the Rose Bowl.